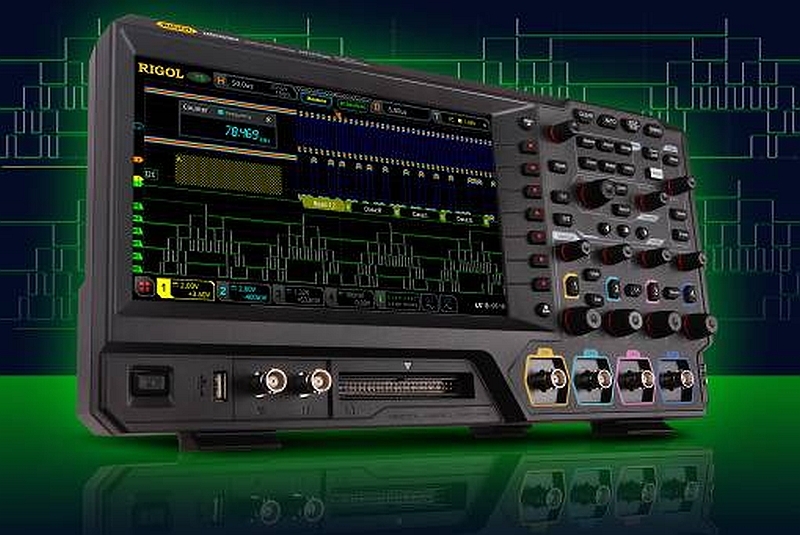 The Chinese Rigol Technologies offers the MSO5000 series of oscilloscopes in six models with frequency bands from 70 MHz to 350 MHz and two to four inputs. These instruments are equipped with a 9″ colour touch screen. The number of channels and bandwidth is scalable, as is access to the 16 digital inputs (MSO). Several functions can be upgraded with software updates: increased bandwidth, access to 16 digital channels (MSO), memory expansion to 200 MPts, 4 input channels (70 and 100 MHz devices), arbitrary 2-channel generator. These oscilloscopes also integrate several measurement tools: voltmeter, frequency counter, optional arbitrary 2-channel function generator (25 MHz, 200 Msa/s, 14 bits). Various trigger, calculation and processing functions are available (1 million point extended FFT, mask test, jitter and power analysis) as well as common trigger and serial bus protocol analysis functions. 2 or 4 analog channels (scalable). 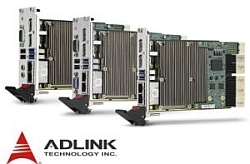 Maximum sampling rate: 8 GS/s (on one channel), 4 GS/s (on two channels), 2 GS/s (on each channel). 16 standard digital channels (MSO probe optional). Maximum memory depth: 200 Mpts (single channel), 100 Mpts (half of the channels), 50 Mpts (all channels). Interfaces : USB, LAN (LXI), HDMI and GPIB (adapter) as well as a USB port for mouse.